With the Euro 2012 tournament going on, what better time for some football related music. This new album features 22 football related songs – the perfect soundtrack when you mute the sound on the TV while the pundits waffle endlessly and annoyingly in the pre-match buildup. As well as the pop type songs there’s a healthy mix of a more classical style of music in the album such as “Jerusalem”, “Land of hope and glory”, “Rule Britannia”, and “The Dam busters” – the patriotic classics that get played before most England games and often during the match. The performance of “Land of hope and glory” is particularly stirring. We get a couple of TV themes – from Sportsnight, and Match of the day. It’s surprising how much the Match of the day theme sticks in your mind – even people who don’t tend to watch football will almost certainly recognise it as soon as they hear it. The most notable omission from the album is “Three Lions” by Baddiel, Skinner and the Lightning seeds, but there’s enough good stuff on the album that it doesn’t really matter. 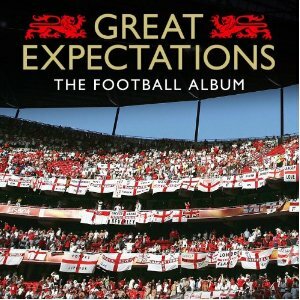 Definitely a great album for all football fans, particularly those supporting England in the Euro 2012 tournament, and when you can get it for under £4 online then that's a bargain.